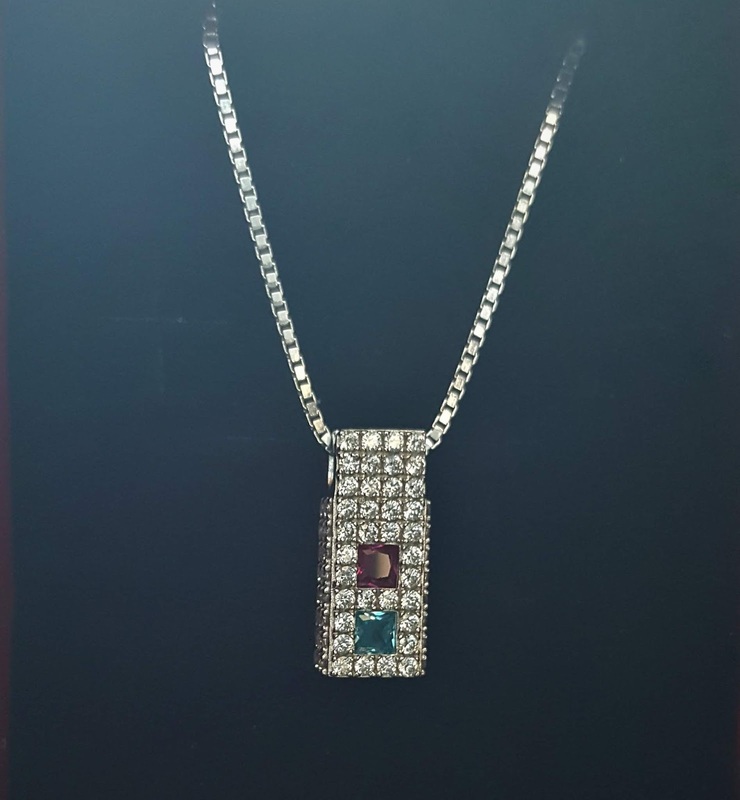 First let me tell you a little about the company They are a family operated business who decided to open a business out of their passion for creating jewelry from gold, sterling silver, platinum, and diamonds. 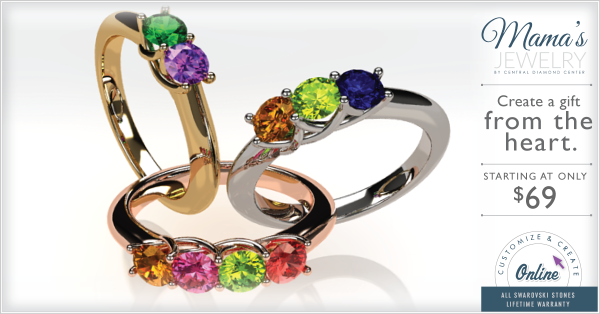 They believe so much into every piece they create they give their customers a lifetime warranty on any piece of jewelry they buy. That alone speaks volumes to me. So they gave me $69 store credit to spend. For me looking was half the fun they have so many cute items. 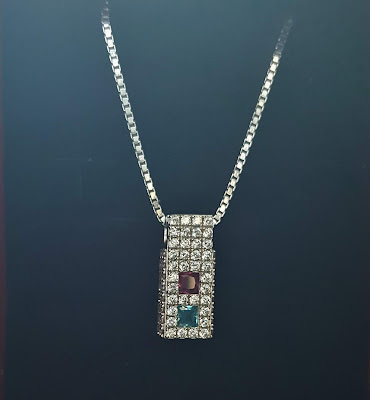 I finally settled on the MAMA Sterling Silver Princess Pendant with Side Swarovski Zirconia in Platinum Plated Silver with an imitation Ruby and an imitation Aquamarine stones. Look how beautiful it turned out! I love it! It also comes in a cute fold out gift box that makes gift giving easy.